We can professional producer for PP stationery including display book, file clip, expanding file, envelope holder, file box, photo album, name card holder,. 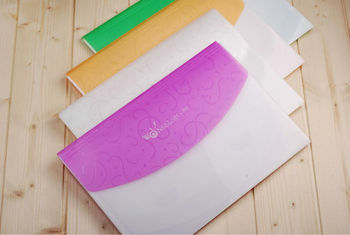 We offer environmental-friendly PP sheet in all kinds of COLORS. Meantime, we have various EMBOSS, such as dots, flower, line, diamond, fog and etc to make the PP sheet more unique and nice. OEM are available. To sum up, We will try our best to meet your specifications and hope to hear from you if any business opportunity.